Dr. Antonios St. Stylianou studied Law at the University of Bristol, where he received his LL. B Law Degree with Honours in 2003. He pursued his doctoral studies in the field of International Law and Human Rights at the School of Law of the University of Kent where he was awarded his Ph.D. Dr. Stylianou has completed training on LNG Supply Chain in 2012. 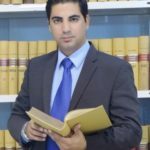 He has taught Law in London, before returning to Cyprus and appointed as a Lecturer in Law at the University of Nicosia in 2007. Dr Stylianou’s research interests concentrate in the fields of International Law, Law of the Sea, Human Rights, Rights of the Child, Energy Law (Oil and Gas), Environmental Law, European Law, Terrorism and the Law of International Organizations. He has participated in a great number of international, regional and local conferences on the areas of his concentration and has presented a number of articles and speeches. Dr Stylianou has published widely in local journals, newspapers and has written extensively on issues relating to the Rights of the Child, Energy, Security, Geopolitics, Law et al. He is a member of various national and international associations and committees relating to his discipline. He represents the Organization in numerous Conferences, both abroad and Cyprus. He is a member of the Council of Europe Steering Group on the One in Five campaign in Cyprus and a Member in various National Committees, including the Geopolitics Council of the Republic of Cyprus. 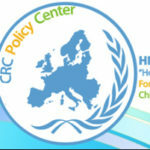 Dr. Stylianou is the national rapporteur for Cyprus on various European Union projects on human rights. He is the Director of the University of Nicosia Law Clinic.